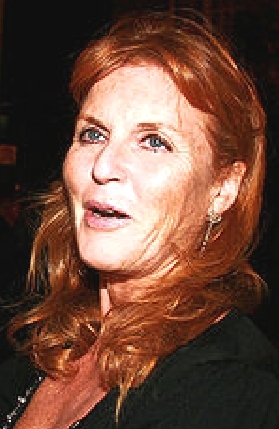 the Social Shuttle: Will the Duchess of York's Oz sister survive the scandal? Will the Duchess of York's Oz sister survive the scandal? Much muttering amongst PR ranks this week whether the public relations business of Sarah, The Duchess of York's Sydney based sister Jane Ferguson will suffer over the battering of her sister's merry quip that half a million pounds will do nicely thanks, her tears of joy at the sight of $40,000 in cash and her sensible request for a spare fifty quid for the driver of her loaned Bentley. Jane has a thriving Australian PR business looking after all manner of prestige clients from Peugeot cars to the famed English fabric designers Osborne & Little. She was also the go-between for the glossy Australian Woman's Day magazine that scored exclusive pics of Sarah's 50th birthday celebrations at the Lanesborough Hotel in London where HRH Prince Andrew obligingly posed for snaps with Sarah and their children. At a fee of $50,000 it was a steal with the pics on-sold world-wide for 6 times as much ( does Sarah just need a better agent ?). Jane also co-hosted, along with Britain's favourite ex-Royal butler Paul Burrell the TV reality program Australian Princess , said to be inspired by the "fairy tale" romance during the 2000 Sydney Olympics of HRH Prince Frederick of Denmark and Tasmania's Mary Donaldson who was swept of her feet in a Sydney pub as Frederick purchased a round of drinks for the crowd with his platinum Amex card. In a few decades, our Mary will become the Queen of Denmark which is far more exciting than the job she had when we first met her -in a Kings Cross real estate agency flogging expensive over-priced apartments. One of the guest judges on Australian Princess was the daughter-in-law of an ex- Archbishop of Canterbury, Diana Fisher who started life as a BBC commentator before moving to Oz in 1964 with her husband Sir Humphrey Fisher. Diana described her experience on Australian Princess as the low point in a media career which has spanned 60 years that included covering the state funeral of Sir Winston Churchill. But she said it had to happen sometime. In the introduction to Australian Princess ( which we are sure included at some stage London PR Liz Brewer and that darling of the aristocracy Lady Colin Campbell), Jane helpfully informed us that she had been "brought up around royalty !". Which is no lie, what with her dad, the late Major Ronnie Ferguson being the head of the stables at Windsor Castle . Whether she actually ever got into the big house is a mystery. Before you scoff, we should point out that some historians claim both Princess Diana and The Duchess of York (and Jane Ferguson) are distant, be it ever so remote, descendents of Georgina Cavendish, the Duchess of Devonshire and may well have far more aristocratic blood in their veins than the present occupants of Buck House who so cruelly threw them both out to the wolves. We digress. Jane wasn't taking calls from the media last week as the ghastly News of The World sting video was broadcast worldwide . There had already been some sort of mix-up when her gorgeous daughter Ayshea a cousin to Prince's William and Harry had inadvertently spoken out of turn, innocently to a media person, of her recent visits to the rellies in London and, as it is with that family, was banished for a certain cooling period (which could be decades) before being invited back to a family barbeque at Windsor Castle. It's claimed today in a Sunday tabloid that Jane Ferguson had been "disinvited" from a black-tie charity event last week that she had helped organise. Absolute tosh. Jane had purposely stayed away knowing that the event would be crawling with reptiles (like us) and had no wish to draw attention away from the very special cause. Sadly, it actually meant the charity was completely ignored. No Jane, no press. Instead, she and 2009 Masterchef finalist Lucas Parsons were giving cooking lessons to a select few at the luxurious Point Piper home of American born designer Charlie Brown and her husband, the ex-Israeli paratrooper Danny Avidan. Will her clientele list suffer? Good grief no. Each Sunday millions of viewers are devouring the TV series Underbelly which is based upon the sordid underworld characters of Kings Cross (many still alive and operating) with one of the main stars often featured on these pages, the handsome John Ibrahim, nightclub owner and security consultant-although the police describe him as a "serious crime figure" -almost achieving hero status and who is on every guest list in town. At the same time Rupert Murdoch's beloved Daily Telegraph has hired our favourite ex-detective Roger Rogerson who admitted shooting a few people dead (all in the line of duty) and who was run out of the police force for corruption and jailed, as an expert commentator on the series and the interested can blog with him on Monday mornings where Roger will set you straight on who was a bigger crook than who. Jane Ferguson, always charming, can look forward to a fabulous year with new clients battering down her door when the clamour dies down ! In the next few days-a full report on the party to launch the autobiography of our favourite dominitrix Madame Lash which is being held at The Kirk, the former Presbyterian Church she purchased many years ago and where all manner of spooky events take place. Gretel, as she is know to her friends who was once featured on the TV show Eurotrash, also owns the rather splendid Florida House at Palm Beach where snootier residents have complained to the local council over 'renovations' she has in plan. They have no idea who they are dealing with !